2P START! Live! 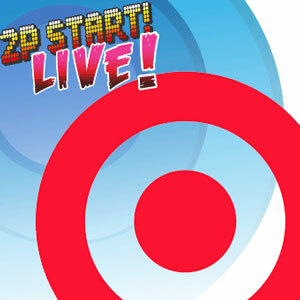 : Target Practice Edition | 2P START! Here’s podcast number 5 (rss, mp3, iTunes), Target Practice Edition! This episode clocks in at a more manageable 16:30, so all you Mario Galaxy or Assassin’s Creed playing gamers out there should be able to get through the podcast without going through withdrawals. Also, we introduce a new segment to the podcast that challenges YOU the reader and your video game knowledge. Enjoy! Haha, may you never get the sign off right, so I can enjoy the awkwardness every time. 😀 Good show guys. Got Mario and all I can say is… it was worth the wait! Nope, it is not from Sonic, the winner has yet to be determined! Megaman 1? Is it Megaman at all? Finally got time to watch this, pretty funny. As said, it’s either Megaman or Sonic. is it megaman battle network 2? No one got the trivia? I knew it right away–Gravity Man, Mega Man 5! And I’m only 2 years late!